“Last summer, my husband and I, together with our friends, went on a trip through Herzegovina. Given that this region is known for its wine, we couldn’t help but try them all, naturally, paired up with great food. We enjoyed this experience thoroughly. 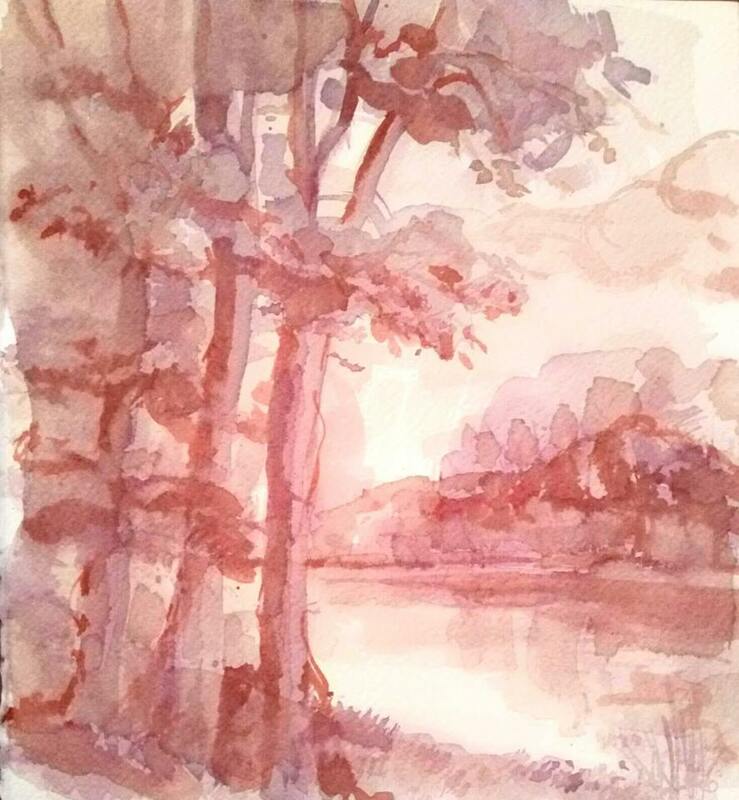 It was then that I remembered a long forgotten painting technique – painting with wine! Immediately after I’ve come back home from the trip I started my wine painting journey. Wine painting is completely different from any other technique I have used before. This was a big challenge for me, as an artist, but also it was a challenge for my audience. 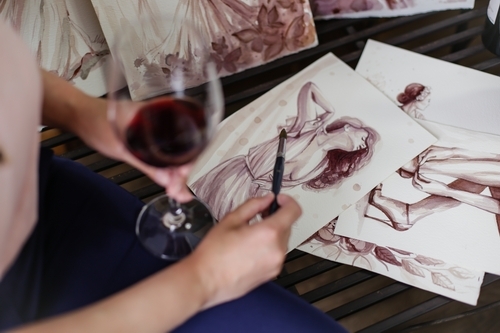 Painting with wine is not a well-known technique, as it’s used by a few artists only, which makes it quite difficult to learn. 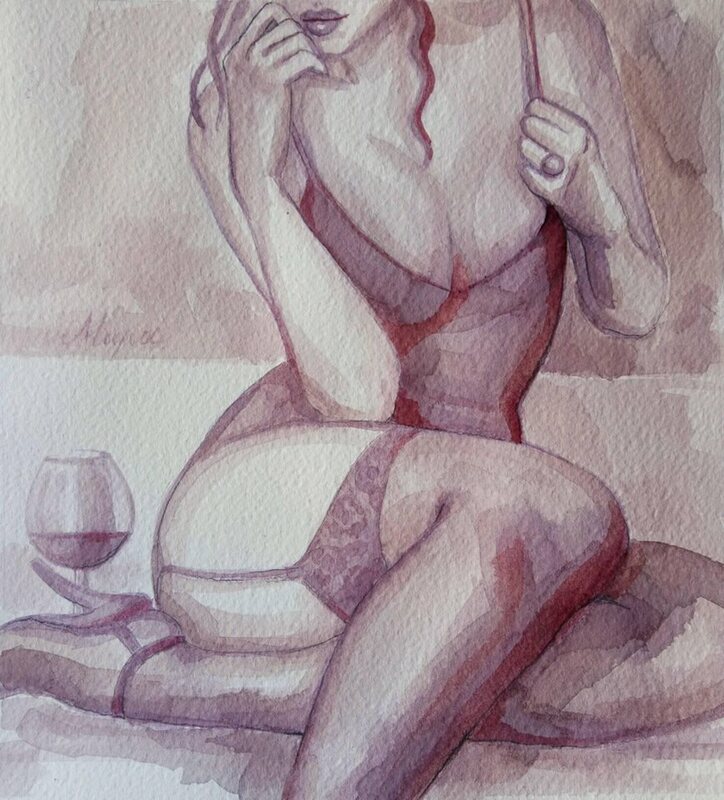 Similarly to learning about wine by tasting it, it takes time to get to know a wine when painting with it. 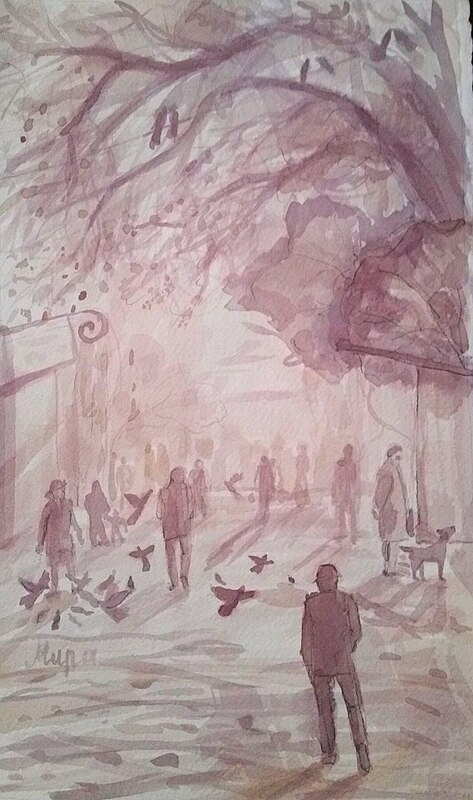 At first, tones are pink, however, with time, the tones change color, the strokes become more intense, resulting in expressive contrasts. Mira Kovacevic graduated painting in 2004 at ALU in Belgrade, in the class of professor Dusan Otasevic.She has shown her art in many independent and group exhibitions in Serbia and surrounding countries. She lives and creates on relation Sarajevo-Pancevo.